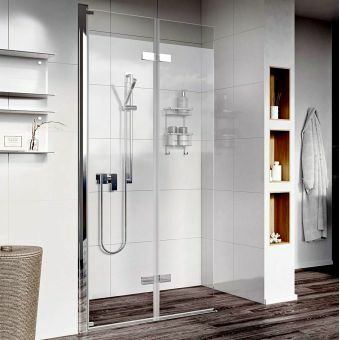 The Celtic silver finish frame Matki Colonade Infold Shower Door comes complete with chrome hinges and a high-lustre anodised aluminium frame for a long-lasting finish. 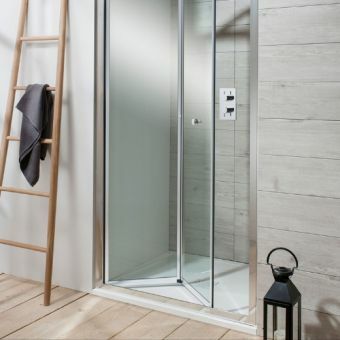 With a 6 mm clear safety glass and a height of 1950mm, this Matki Colonade Infold Shower Door displays a contemporary design. 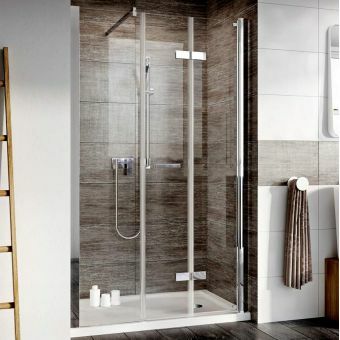 Its overall structure provides a perfect fit for those taking quick power showers or longer steam showers. This contemporary design can be used in a recess or you can add one of the matching side panels and create a classic corner installation. 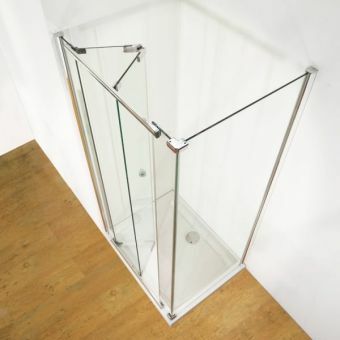 Watertight door seals and a door catch keep water trapped inside of the shower, preventing it from leaking onto the bathroom floor. 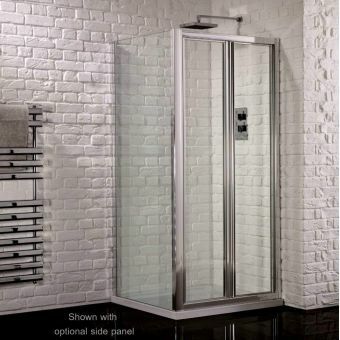 Super-smooth action gliding doors make it easy to open the reversible design to the left or the right. 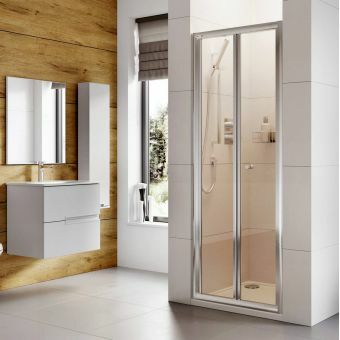 The infolding door functionality of this Matki Colonade model saves space in any bathroom size and design. 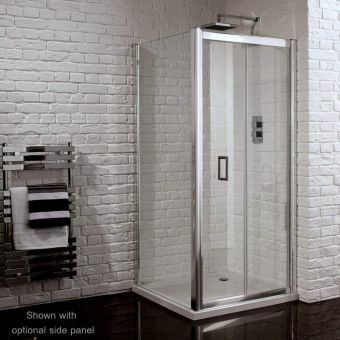 Just add a suitable tray and waste (can be selected during configuration) for the ultimate showering experience!